UPTET Admit Card 2016 - Download UP TET 19 Dec 2016 Hall ticket: Uttar Pradesh Teacher Eligibility Test Admit Card / Hall Ticket 2016 download are available now. 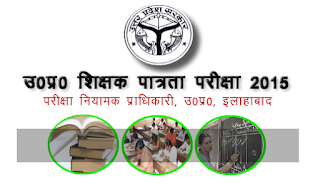 This test is conducted by Uttar Pradesh Basic Education Board. This time, the board is going to conduct this test for the 2nd time in 2016 on 19.12.2016. 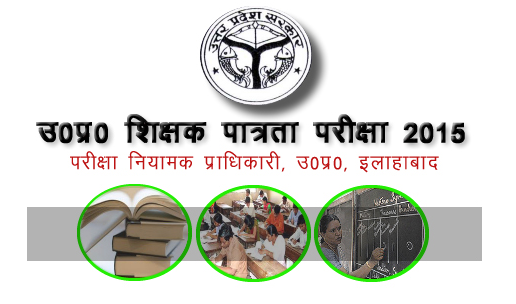 The test is conducted to find eligibility of the candidates for being appointed as TGT, PRT teachers in UP Govt. schools. Those candidates who had applied, can download their UPTET Exam Admit card from here. Uttar Pradesh Basic Shiksha Board had released Admit card on official website on 08 December 2016. You can easily download it from below. The test is going to be conducted on 19.12.2016. Exam Centres will be decided up to 08 Nov 2016 and the list will be sent up to 11 Nov 2016. A total of 762060 candidates have applied successfully for UPTET Dec 2016 exam. Before going to the examination center, candidates should ensure that they have the required stuff given below. UPTET 2016 Admit Card is mandatory for all candidates who want to appear for the test. No candidate will be allowed to enter the exam centre without it. UPTET Admit card release date: 08 Dec 2016. UPTET Exam Duration for written test is 2 hours 30 Minutes. It will be held in two sessions i.e 09.30 to 12.00 hours and 14.00 to 16.30 hours. Candidates have to download their admit card of UPTET 2016 from the direct link provided below and print it and bring at the centre at the time of exam. In case of any discrepancy in particulars or any related problem, candidates can contact by using contact details on official site for resolving it. Here is the simple procedure to download the admit card. 1. Candidates should visit the direct link given below. The direct link will take you to upbasiceduboard website admit card download page (after release). 2. On that page, they need to enter their registration number and date of birth etc. and click on submit. Their UPTET hall ticket will be displayed by the website. Candidates should note down their exam venue, roll number, photo, reporting time and time of start of examination etc. details. Also they should take print of hall ticket. Remember to bring this at the time of examination. In the written exam, candidates will have to answer the questions on an OMR sheet to be provided by the center. 4 options to each questions will be shown on the ques. paper and applicants have to select one of them as the answer and mark it in the answer sheet. After the exam, they should hand over the sheet to the invigilator. No candidates will be permitted to enter the exam hall without UPTET admit card. It is an important document without which you cannot give the exam. It will be available for download at official website www.upbasiceduboard.gov.in. We are constantly in touch with latest news regarding the release of hall ticket and UPTET 2016 and will be updating you on all updates regarding this.